Startseite /Kontakt /Vossiek, Martin, Prof. Dr.-Ing. Martin Vossiek was born in Dortmund, Germany, in 1964. He received the Dipl.-Ing. degree and the Ph.D. degree in electrical engineering from the Ruhr-University Bochum, in 1991 and 1996. In 1996 he joined the microwave and surface acoustic wave research group of Siemens, Munich, Germany. From 2000 to 2003 he was heading the microwave systems group of Siemens Corporate Technology and he was responsible for product developments in the field of commercial microwave sensor and communication systems. In 2003 he joined Clausthal University of Technology as a professor and was director of the Institute of Electrical Information Technology. Since 2011 he is chairing the Institute of Microwaves and Photonics (LHFT) at Friedrich-Alexander Universität Erlangen-Nürnberg (FAU). LHFT is a worldclass center for microwave research and scholarship, employing 3 professors, 5 lectures, 4 PostDocs, 40 PhD students and numerous student research assistants. Mr. Vossiek has been engaged in research and development on microwave theory and techniques, radar systems, local position system, imaging and localization algorithms, wireless sensor systems and sensor networks and RFID. In these fields he has authored or co-authored more than 200 peer-reviewed papers and his research led to around 100 granted patents. His research work was acknowledged by several international awards. 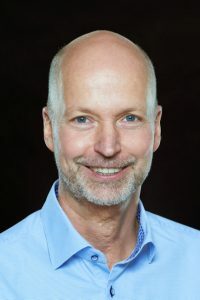 Martin Vossiek is a fellow of the IEEE and recipient of the 2019 Microwave Application Award of the IEEE Microwave Theory and Techniques Society for outstanding technical contribution in the field of microwave theory and techniques. Martin Vossiek is vice-chair of the executive board of the IEEE German MTT/AP Chapter. He was the founding chair of the IEEE technical committee (TC) MTT-27 “Wireless-Enabled Automotive and Vehicular Applications”. Besides being active in TC MTT-27 he is also a member of TC MTT-16. Martin Vossiek is chair of the ICMIM conference executive board within the MTT-S meetings and symposia committee. He is also acting in the German Information Technology Society VDE/ITG in three High-Frequency Technology specialist divisions: HF2 “Radio Communication”, HF3 “Microwave Technology” and HF4 “Localization”. Mr. Vossiek did belong to the organization and technical program committees of various international conferences and workshops, e.g. he was chairing the German Microwave Conference (GeMIC) 2015, the European Radar Conference (EuRAD) in 2017 and the IEEE MTT-S International Conference on Microwaves for Intelligent Mobility (ICMIM) in 2018. Since 2013 Martin Vossiek is an associate editor of the IEEE Transactions on Microwave Theory and Techniques, he is a member of the editorial board of the journal FREQUENZ and he has served on the review boards of technical journals, including IEEE Transactions on Microwave Theory and Techniques, IEEE Transactions on Ultrasonics, Ferroelectrics, and Frequency Control, IEEE Transactions on Robotics, IEEE Communications Letters and IEEE Transactions on Circuits and Systems. M. Gottinger, F. Kirsch, P. Gulden and M. Vossiek, "Coherent Full-Duplex Double-Sided Two-Way Ranging and Velocity Measurement Between Separate Incoherent Radio Units", IEEE Transactions on Microwave Theory and Techniques, März, 2019. M. Lipka, E. Sippel and M. Vossiek, "An Extended Kalman Filter for Direct, Real-Time, Phase-Based High Precision Indoor Localization", IEEE Access, vol. Volume 7, no. Issue 1, pp. 25288-25297, Februar, 2019.